So, lets say you are in another country. You have used their bathroom/washroom/loo/crapper and completed a thorough handwashing. So, you walk over to this contraption on the wall (photo above). There is a label on it. Would you know what to do with it? Remember, you are in a foreign country - and you don't speak the language or understand their alphabet at all. HELLO? It's a hand dryer, if you didn't know that - hold your breath until you pass out. Start...... NOW. So, here is the question: Why the hell are there instructions on EVERY SINGLE HAND DRYER I HAVE EVER SEEN. EVER? Lets draw a ludacris comparison to help the point gel. Why aren't there directions on a doorknob? Save a nickel - eliminate the useless directions. Thoughts? Oh so true! And I love the option they give you to turn the nozzle around and blow the air in your face. I have never felt the need to blow hot air on my face and have personally never seen anyone else do it. I'm sure eliminating that option would save a buck or two! EEEUUUUUUU. I Have done it once. And The air is not so hot... It's like warm wind of the desert... lol. But you can't do it anymore with those new automatic dryers.. Ya know, those dryers you where thinking they were broken the first time you used them. Like the automatic movement detector placed I don't know where, when you want to wash your hands in public washrooms... :o)I hate to look stupid...! Who washed their hands in the bathroom? To take a line from George Carlin, maybe you should wash your #$&%. Mine's clean. 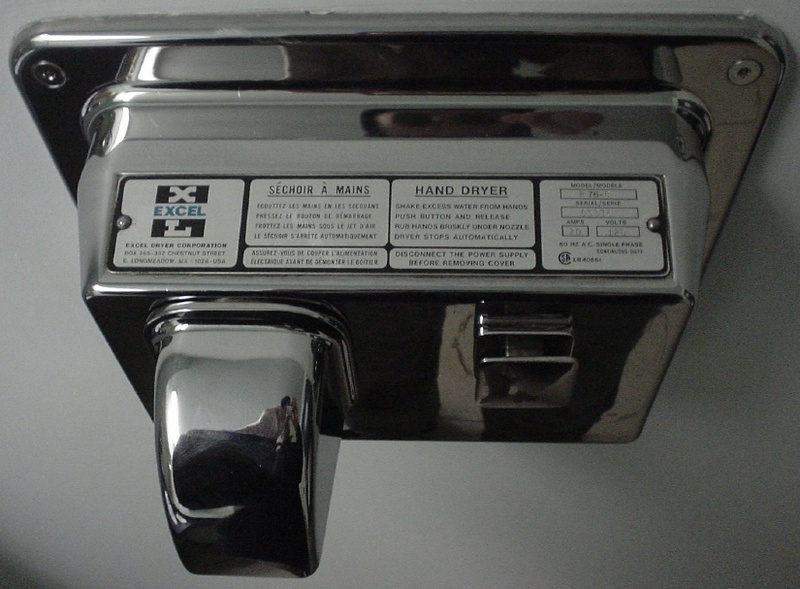 After they invented the automated papertowel dispenser, I'm standing there perplexed, looking for the handle.